Tenebrarum are a Colombian gothic metal band that has been going for over 20 years and released 8 albums. Despite this and them having a good following in South America, where they've headlined festivals and played to crowds of 30,000 people they remain fairly unknown in the UK. Musically its an interesting sound. The violin gives it a bit of a symphonic metal feel but without the richness that you'd get with a larger string section or full orchestra. There is a strong Gothic feel to many of the songs as well, and the vocal style does remind me of early stuff by the Sisters of Mercy. The introduction for "One step" is a nice piece of piano music, but they've added a really annoying crackle and bump to it - as though its being played on a poor quality vinyl record, and that detracts away from the music for me. After almost two minutes the main part of the song kicks in. Apart from that, the album is pretty good and consistent. Personally I'd have preferred female vocals but I know plenty of people prefer male vocals, and the male vocals here do work very well. The music is well written, and the use of the violin works well, but I think that with more of a string section then the music would sound richer and more powerful. 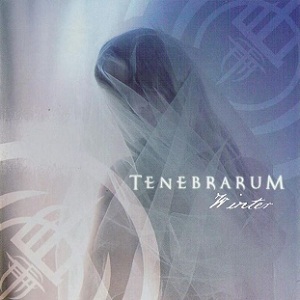 If you're a fan of symphonic or gothic metal but aren't keen on female vocals then Tenebrarum are well worth a listen.